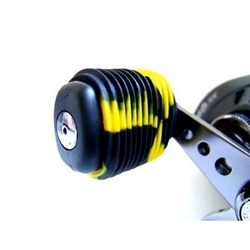 ReelGrip is a fishing tackle accessory that adds comfort and grip to your existing reel handles. Because they're made of a soft rubber composite, they easily slide over your existing bait cast reel handles. They are what every angler needs!